Kokako 25 landed in my mailbox at the weekend – cover art courtesy of yours truly. I took the photo – which has been manipulated into black and white and slightly touched up – in Konsaki Onsen, a town on Japan’s west coast which is renowned for its bath houses. Near the town are the wetlands of Toyooka, which provide an important habitat for the oriental white stork. The bird became extinct in the wild in the 1970s after its habitat had been changed by modern farming practices. However, it was decided to try and bring the birds back and a captive breeding programme was started – with the first chick born in 1989. In 2005 five captively bred storks were released, which then bred successfully in the wild. As of June 2015 there were 72 wild oriental white storks in Toyooka. But the birds have a special link to Kinosaki. 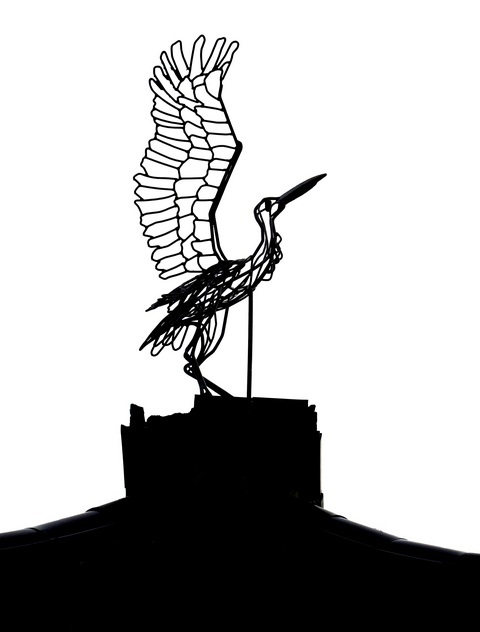 It is said that the location for the town’s oldest bath house – presumably the building beneath this metal sculpture – was discovered when a stork was seen bathing its wounds in a hot spring. 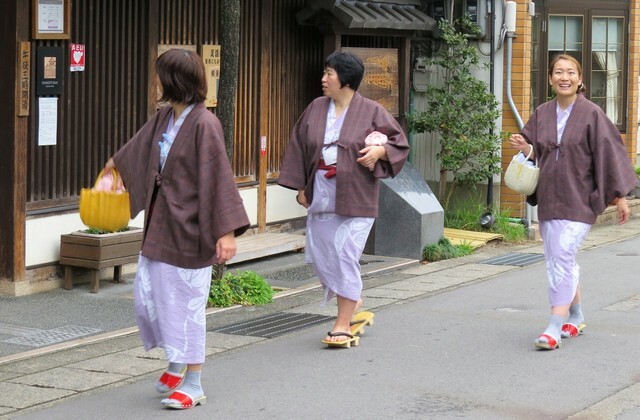 Natural hot springs supply a number of public bath-houses and hotel onsens and the relaxed atmosphere is enhanced by people wandering from bath-house to bath-house in their yukata robes (which might otherwise equate a dressing gown!). Kokako is raising its subscription price to cover the increased cost of postage within New Zealand – $NZ30 / $A30 / $US30 for 2 issues a year. Over the past 5 years, the journal has grown from 60 to 80 pages per issue so we mustn’t feel like it’s all bad news! Send subscriptions to Kokako, 42 Flanshaw Rd, Te Atatu South, Auckland 0610 (New Zealand). For Kokako 26 send submissions – up to 8 pieces per poet – between November 1 and February 1 in the body of an email.